The vessel celebrates history and the art of glassblowing with stops in Poughkeepsie, Kingston, Catskill, and Troy. 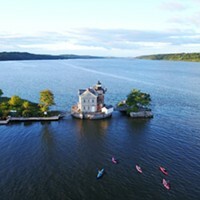 Hudson River Valley National Heritage Area has just launched a new virtual train tour app that lets you learn about the area rich history, architecture, nature, and economic development as you take the scenic trip along the Hudson River. 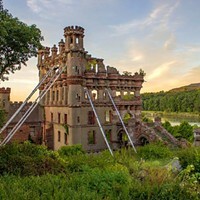 Once a magnet for prostitutes, bootleggers, and the like, then later a secret armory, Bannerman Island in the Hudson River is now a romantic ruin that serves as the site for various arts and culture programming. 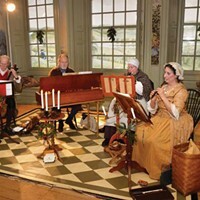 After repairing damage from Hurricane Irene, Zadock Pratt Museum has reopened to visitors. 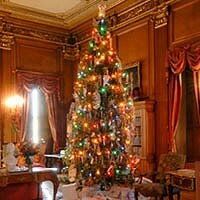 Plan Your Dutchess 2017 Holiday Getaway Now! 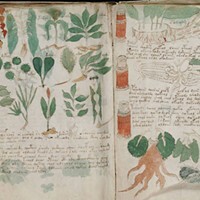 Jim Handlin tries his hand at decrypting the mysterious Voynich Manuscript. Three days of reenactments commemorate the Burning of Kingston. 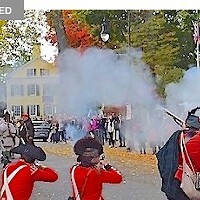 The Burning of Kingston, hosted October 13, 14 and 15th, is a fun and free weekend-long commemoration with several reenactments of actual historical events of 1777. 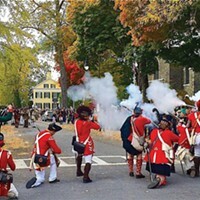 Also includes a colonial grand ball, cemetary ghost tours, bucket brigade contests, exhibitions, militia and redcoat camp drills and tours, games and more at numerous locations throughout the beautiful city of Kingston New York. 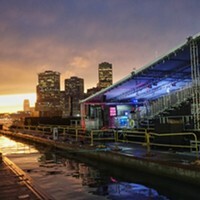 Thu., April 25, 10 a.m.